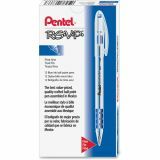 Pentel R.S.V.P. 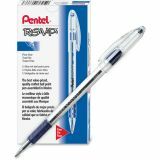 Stick Ballpoint Pen, Fine 0.7mm, Blue Ink, Clear/Blue Barrel, Dozen - R.S.V.P. Ballpoint Stick Pens feature an ergonomic barrel design with a soft, latex-free, rubberized, Comfort Zone grip. 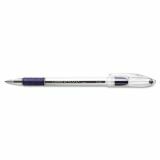 Refillable pen delivers exceptional balance, comfort and control for fatigue-free writing. Durable, stainless steel tip delivers a consistent line with smooth ink. Color indicator ball in cap and sleeve on barrel match ink color. 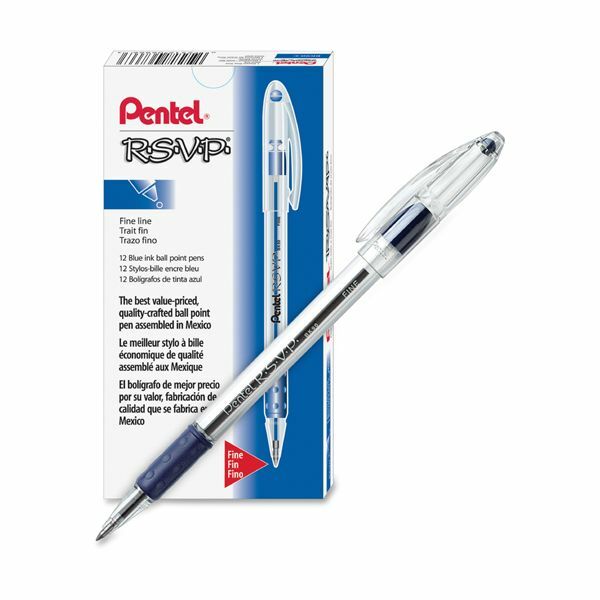 Refill with Pentel BKL7 (0.7mm) or BKL10 (1.0mm) refills.